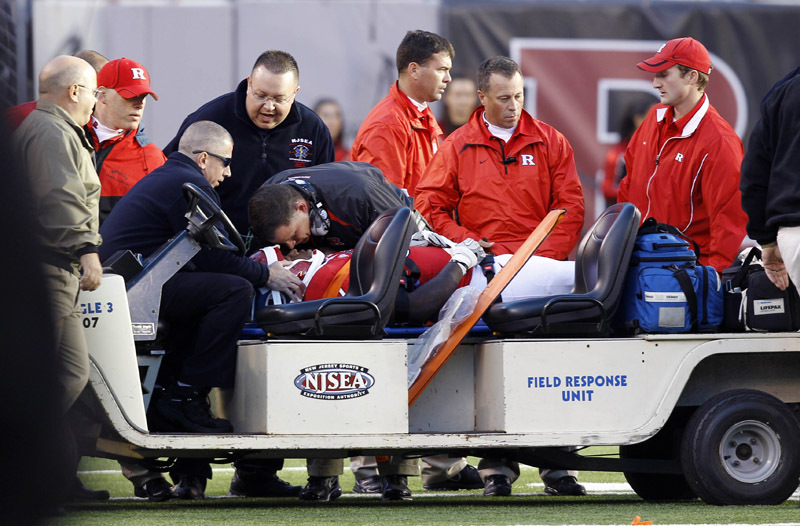 You may remember the story of Rutgers defensive tackle Eric LeGrand, who was severely injured in an Oct. 16 game against Army. LeGrand was taken off the field on a stretcher, and for weeks the story remained the same: He was paralyzed from the neck down. Some good news came out Thursday: LeGrand has some sensation in his hands, his family said. He does, however, remain paralyzed. On the same day came word that LeGrand was named winner of the 2010 Discover Orange Bowl Courage Award. According to The Associated Press, the Football Writers Association of America presents the award for displaying courage on or off the field, including overcoming an injury or physical handicap, preventing a disaster or living through hardship. A fund has been set up to help with LeGrand’s care. Visit the Eric LeGrand Believe Fund website for more information.